Having trained medical personnel onboard your flight can really be a lifesaver. Earlier this month, a mother and daughter on a flight to Utah were on hand when emergency medical assistance was needed, according to a report in the Citizen Times. Flight attendants found a man slumped in a chair, covered in vomit, and they immediately leaped into action, summoning anyone onboard with medical experience to assist them. That's when Rose and Morgan Anderson from East Asheville, North Carolina joined the scene. Rose works as an ER nurse at the VA Medical Center, while Morgan graduated from nursing school in 2016 and is on staff at Mission Hospital. The two women quickly assessed the patient and determined that dehydration was leading to low blood pressure and hypovolemic shock. They took stock of the medical supplies onboard the plane and administered an IV. The man regained consciousness soon after receiving treatment. Flight attendants also kept in contact with medical staff on the ground. Because of the two women, the flight was not diverted. In fact, the pilot sped up the plane and landed more than one hour early. The pilot and Delta staff thanked the Andersons for their heroic efforts. The women received a bottle of wine and vouchers for discounts on future flights. 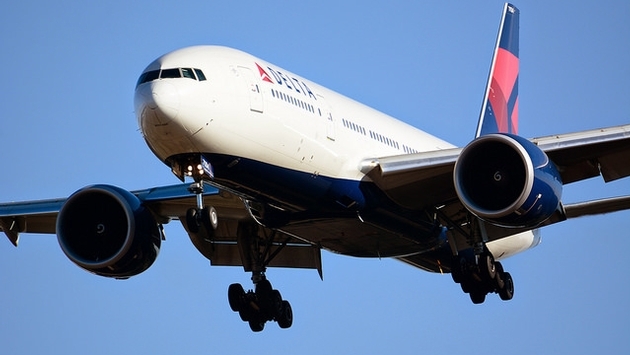 In an email to the Citizen Times, Michael Thomas, a Delta spokesman, said the company "sincerely appreciates the efforts of these medical professionals who came to the aid of one of our customers who fell ill on a recent flight." The man was definitely lucky to have the assistance of the Andersons. Other similar scenarios have not had favorable outcomes despite every effort being made to save the life of the passenger.